This years Desert Daze took place in Lake Perris, quite a change from the past two years when the annual music festival was held in Joshua Tree’s meditative Institute of Metaphysics. Of course, it’s always new and strange to switch locations when you are used to a certain atmosphere, but most people were willing to give it a shot with a line-up that consisted of Jarvis Cocker, Ty Segall & White Fence, My Bloody Valentine, and more. 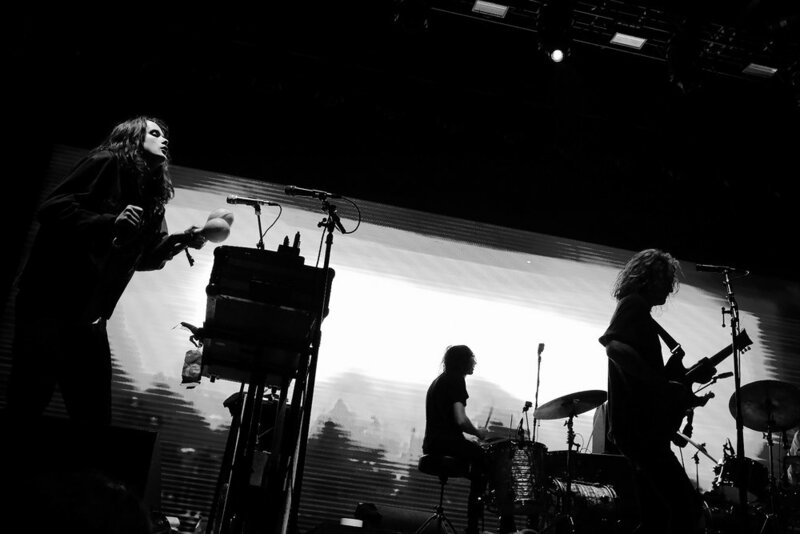 Unfortunately for the Desert Daze team, weather was not on their side Friday night when Tame Impala’s headlining set was cut short after only a few songs due to concerns from a lightning storm in the area. The festival was evacuated and people were urged to seek shelter and help out their fellow festivalgoers, and with little to no reception, finding your friends was close to impossible. Not a great start to the weekend but it did, however, get much better after Friday’s weather conditions. 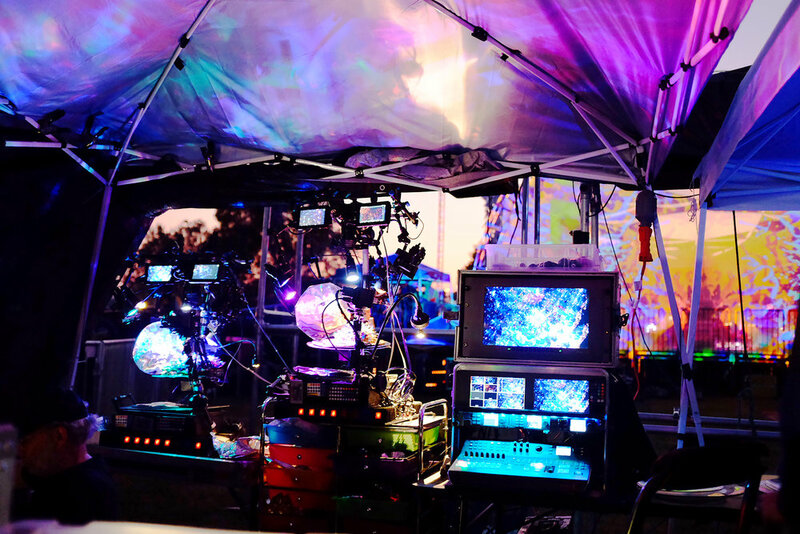 One of the festival’s biggest assets is clear: The Mad Alchemy Liquid Light Show. Founded by Lance Gordon, who’s been blending oils and light since 1971 when the company was first called Palantir. He was inspired by his first trip to Fillmore West in 1969 and decided he needed to start his own show. 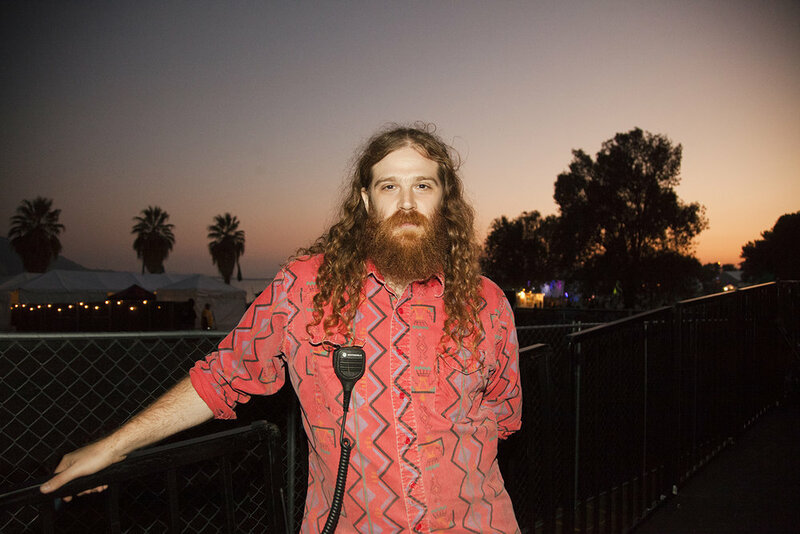 He resettled in San Francisco in 2013 after an extensive tour with Radio Moscow, and in 2017 had the opportunity to perform the show at Red Rocks. Since 2008 there have been over 1400 liquid light shows helmed by Gordon and he doesn’t show any signs of stopping any time soon. 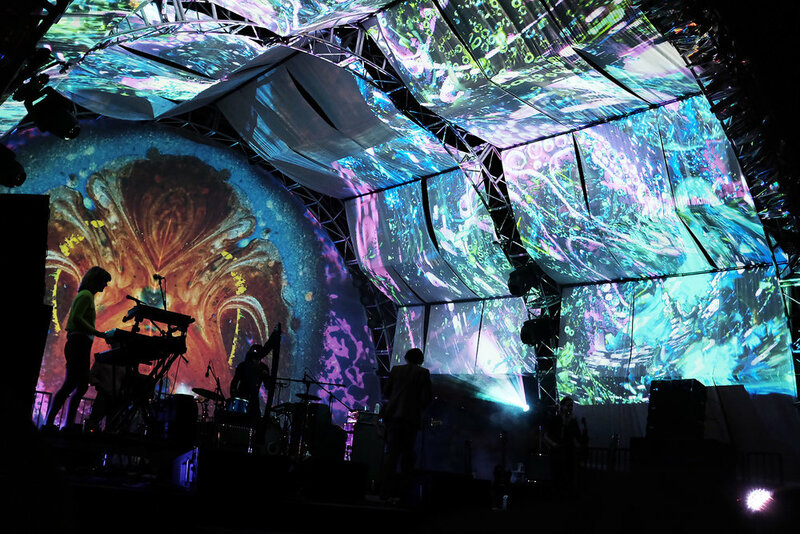 Desert Daze wouldn’t be Desert Daze without the iconic liquid light shows working their magic behind the energy of a live band. Some of our favorite liquid light sets were done in conjunction with Uncle Acid and the Deadbeats, Earth, Kikagaku Moyo, JJUUJJUU and Jarvis Cocker. It adds another element to seeing a live performance when you also get to watch such stunning visuals in real time. 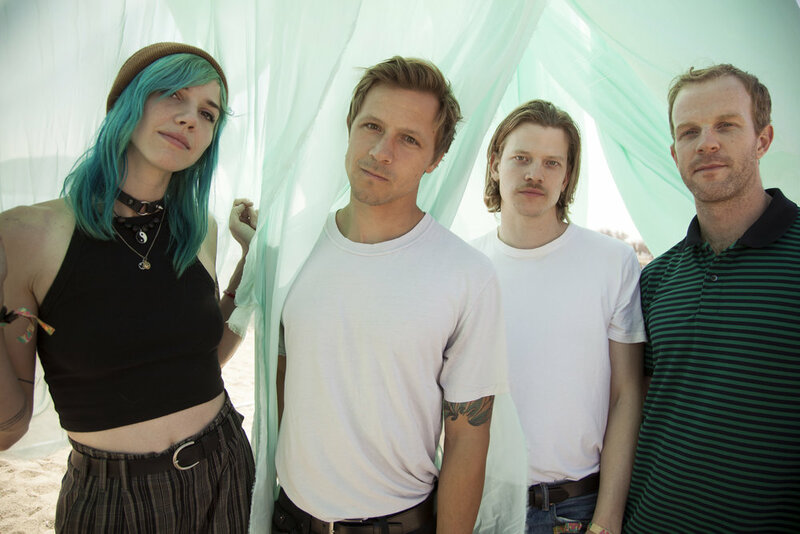 So much emerging talent was seen this year including sets from favorites Sextile, Death Valley Girls, Prettiest Eyes, Cat Scan, Ex-Cult, Idles and L.A. Witch. 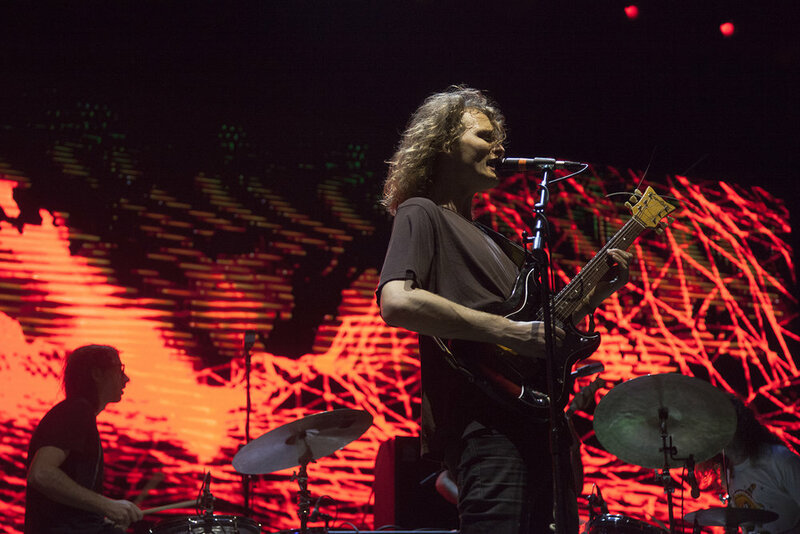 One of Desert Daze’s best qualities is their knack for blending iconic and new acts and having the line-up be so effortlessly good. In one hour you could see a Place To Bury Strangers and then walk down through the beach to My Bloody Valentine. It’s a dynamic the festival has kept for the last few years and we hope it continues that way for future years to come. We want to give a big shout out to Phil Pirrone, founder of Desert Daze and frontman of psych garage band JJUUJJUU, for bringing together such a great group of individuals both on stage and behind the scenes. It takes a village to put a festival like this together and even through the worst of moments he and his crew kept calm and fixed the issues that presented themselves the most efficient way possible. There are things that the team will have to work on for next year, but it’s all a learning process and we’re excited to see what the next one holds!